Really delicious soup for the winter. I think we got this recipe from our CSA one year. Melt butter in heavy large sauce pan. Add onion, squash, carrot and saute until softened. Stir in thyme, sage, stock and 1 cup of cider. Reduce heat to medium low, cover and simmer until veggies are tender, about 30 minutes. Meanwhile, in a separate saucepan, reduce remaining cider to 1/4 cup. Mix together cider and sour cream. Serve soup, adding a drizzle of cider cream and a sprinkling of chopped chives on top of each bowl. Dice vegetables into 1/4″ cubes. Mix corn, beans, pepper, and onion. Add oil, mix. Mix-in sugar and vinegar, be sure to evenly distribute. Eat with chips. Keep refrigerated. Enjoy. Fantastic tomato soup for using up all those CSA tomatoes… I usually scale-up the recipe by 2, 3, 4, or even 6x. We always freeze some to save for those cold dreary January days when a fresh blast of summer veggies tastes just super delicious. My mom loves this recipe too, and recently said that she can’t eat the canned soup anymore since this is just so much better. Seed the tomatoes if you want. In a big pot combine tomato, water, onion, celery, paste, cilantro/basil, bouillon, sugar, and hot pepper sauce. Simmer, covered, for about 20 minutes or until celery and onion are tender. Remove from heat, cool 10 minutes. Blend the soup in the blender or food processor. Combine using the creaming method. Cream together shortening and sugar. Add egg and vanilla and mix well, until creamy. Add flour, baking soda, salt, and cream of tartar and mix until combined. Dough will be a little of crumbly, but it’ll come together when you roll it into balls. Cream together shortening and sugar. Add molasses and egg and continue beating. Add flour, baking soda, salt, cinnamon, cloves, and ginger and mix until combined, scraping down the sides of the bowl as needed. Roll a small amount of gingersnap dough into a ball and toss in granulated sugar. Roll a small amount of snickerdoodle dough in a ball and toss in cinnamon-sugar. Place both doughs together and gently roll or squeeze together (it worked best if I kneaded the snickerdoodle dough in my hand a few times before rolling both doughs together since it’s a thicker consistency). 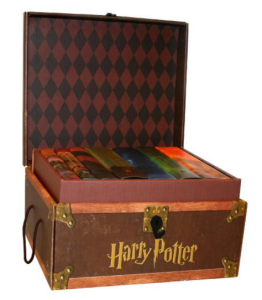 For Christmas 2015 I wanted to get the Harry Potter Hardcover Box Set for my dearest wife. The official box set hardcovers are very expensive ($120+) and come in a pretty cheap-looking cardboard “trunk” (photo at right). Plus, we already had all the books in hardcover, so I thought I would make a cute little wooden trunk myself. Everyone loves homemade gifts. 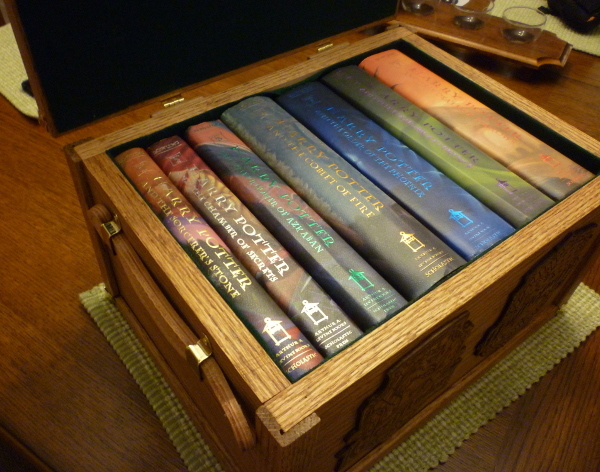 Lots of time and money later, I had finished a nice trunk, perfectly-sized for all seven HP hardcovers. Like all projects, I should have taken more photos during the process, but hopefully this write-up gives you a decent idea of what I did and how you could do the same if you want. Note: All my config dotfiles are now in a repository at GitHub. Mostly the same as last time, with a few updates from the last few years of working in the real world. Important additions are the ignorecase/smartcase/incsearch to improve searching, adding a new “rr” code that inserts the regex to remove trailing spaces, and the final line will set vim to use the CTAGS files specified in the shell envvar $CTAGS_DB. The four let lines in the middle are supposed to change your terminal cursor based on your mode, but sometimes it seems to mess up the terminal so your mileage may vary. Includes auto indent and auto syntax highlighting. I use a black background terminal, so the “set bg=dark” optimizes the colors for a dark background. I like 4 spaces for my indenting, no tabs. I use the F5 key to toggle search result highlighting, and F6 to toggle between paste mode (no auto-indent) and no-paste mode. 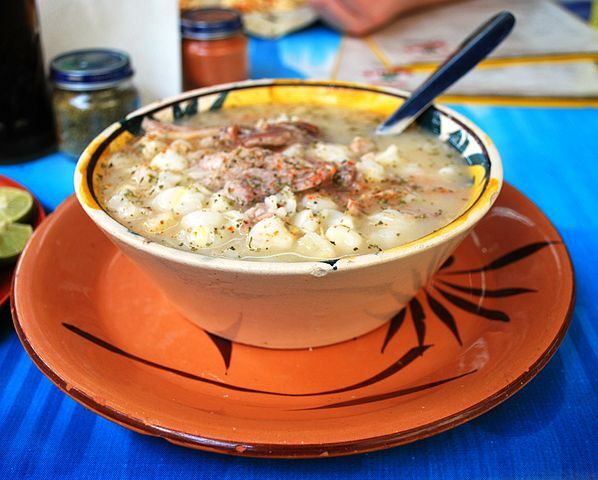 My mom used to make this Pozole when I was a kid, and I really enjoyed it. Good strong flavors with fun accessories at serving time. Good use of tomatillos. Heat oil in large heavy skillet (Dutch oven) over high heat. Add pork and cook until brown on all sides. Reduce heat to medium. Add large onion and cook until tender stirring occasionally, about 10 minutes. Add garlic and cook 2 min. Add 3 cups stock. Simmer until meat is very tender, about 90 minutes. Puree tomatillos and cilantro with remaining 2 cups stock in blender. Add puree, hominy, and red chilies to pork. Simmer 15 min. Season with salt and pepper. Discard Chilies. Serve pozole, passing diced onion, lettuce, radishes and line separately.